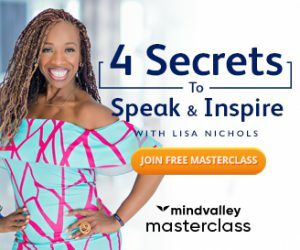 In this post, I will be talking about how to use a vision board to activate the law of attraction because many people fail to understand the actual purpose of vision boards in the manifestation process. The movie which went viral in the year 2006 “the secret” promoted the concept that we all create our lives by attracting the events using what we think, feel and believe. Casts of this movie also provided few tools using which people could use their creative ability to get desired results and one among those tools was vision boards. Vision boards is among the least used LOA tools because it requires time and involvement of the person, but this habit can really alter your reality(if done properly). I used that term “activate” just for the sake of explanation, in reality you cannot activate the universal laws because they are already at work all the time but you can activate the vibration in your energy field which matches your desire. Vision board helps you to do exactly that- It allows you to get into the vibrational state which matches the frequency of your desires hence it boosts up the manifestation process. The “vibrational frequency” I am talking here is an energy state which is formed by your thoughts and feelings. 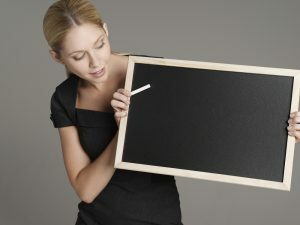 Let us take a deeper look on how vision boards work..
Our subconscious mind’s language consists of images not words, this why imagination is a great practice using which we could communicate with our powerful subconscious mind. The first step in the process of putting the law of attraction into action is “setting your intention”. When you choose the images for your vision board you are automatically declaring your intention to the universe in a very effective manner. So, from the initial process where you select the pictures for your vision board you are putting LOA at work. Since visualization is a process where you use your imagination to conjure up a mental image of what it would be like to have your desires achieved, it is an inconvenient task to fill up the details in your imagination and it also is a bit hard to stay consistent with the same scenes. However, it is not at all necessary that you should imagine the same scenes over and over again, feelings is what matters the most, despite of knowing this your conscious mind will try to interfere your visualization by confusing you with the need to have the details and consistency of your visions. This is where vision boards become very useful, all you have to do is before using the creative visualization process just go through each pictures in your vision board and your mind will get all the required details to construct a perfect scene of your dream vision. I consider this as the main purpose of the vision boards. It often becomes difficult for people even for those who have been using the LOA tools from a long time to stay persistent with the efforts and to regularly work towards the goals. Like we build our muscles by regularly following a workout schedule for months, our mind also requires persistent efforts in order to make our dreams come true. So, by creating a vision board you are actually setting up an alarm for yourself which reminds you to apply the LOA tools consistently. We often forget about our goals due to the busy nature of our lives but, a vision board will help you to make your dreams the top priority of your life. If you are like me, you might find that making a vision board and implementing it is a tedious job. I used to make vision boards and I have also made my dream collage as the background picture in my laptop but, I must agree that I don’t use them properly…Yeah I am a bit lazy. I would suggest that if you create a vision board and use it regularly then it would be the best thing to do but, if you have tried it and failed to follow then I have a product recommendation for you. 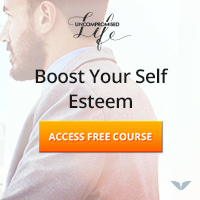 There is product called empowered mind videos, you can read its review in the suggested posts below. This product allows you to create custom movies in accordance to your desires and then you can watch it with sound and various technological aids that allows the visual information to reach your subconscious mind effortlessly. Since this is a fun process it will become a part of your daily life more easily than vision boards. Watching these videos in the early morning and before going to the bed multiplies the rate at which you can alter your subconscious programming. Want to make a vision board?-Check out my post “How to Make a Vision Board That Really Works”.